The AQ-4601 Premium Aquasana under counter water filter in Brushed Nickel, featuring NSF-certified Claryum™ three-stage filtration, is ultimate convenience — always available, healthy water, right from your tap. The AQ-4601 Premium Brushed Nickel allows you to neatly and easily install the Aquasana water filter system under the sink with the brushed nickel push button tap for dispensing filtered water. Comes complete with mounting bracket, supply line, T-fitting for connection to water supply, chrome push button "pressure relief" tap with colour coded tubing and easy to follow illustrated instructions. Typical installation is less than 20 minutes, using only pliers and a screwdriver. After devoting 18 months to redesigning and reformulating the company's filter cartridges, Aquasana has created its most powerful and best-performing filtration systems to-date. Unique in both design and functionality, the new Aquasana Claryum™ Filtration Technology features three distinct stages, including activated carbon, ion exchange and sub-micron filtration. Together, this unique combination forces water under pressure over more than two million square feet of surface area of contaminant-grabbing filtration material — the equivalent of almost 35 football fields. 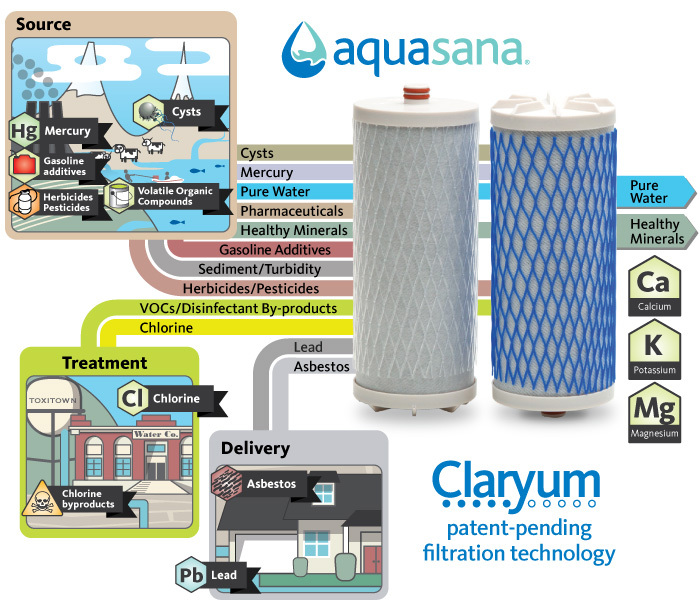 In addition to reducing a comprehensive list of chemicals and contaminants, Claryum's™ patent-pending selective filtration technology reduces odour and improves the taste of tap water while also preserving its healthiest minerals such as calcium, potassium and magnesium for optimum hydration — which are vital for growth, development and overall health and wellness. At the touch of a button, Aquasana AQ-4601 Water Filter System transforms tap water into naturally healthy, great tasting drinking water! Get the best water at a fraction of the cost of bottled water. Aquasana's exclusive dual filter system uses a combination of carbon filtration, ion exchange and sub-micron filtration to produce truly healthy, great tasting water at the convenience of your kitchen tap. The Aquasana reduces over three times more contaminants than leading Jug filter brands. The patented twin cartridge drinking water filter installs in seconds to standard kitchen faucets and provides up to 30 gallons/138 litres an hour of ultra-filtered high quality water for drinking, cooking and other beverages. Includes filter housing‚ chrome faucet diverter‚ twin filter cartridge set (lasts 6 months or 500 gallons/2,300 litres), easy to follow instructions and cartridge re-order forms. If you would like to install this system for under the counter use, please see our under sink water filters section with various tap finishes available. AQ-4601 Dual-Filter Drinking Water System includes 2 filter cartridges, brushed nickel faucet adapter & instructions. Reduces up to 99% Chlorine, Lead, Mercury, VOC's, THM's, MTBE and 100 other common tap water contaminants! Better than bottled water quality! Aquasana drinking water filters cost less and provide better filtration on more than 60 contaminants including; Chlorine, Lead, Organic compounds and Cysts. The unique twin cartridge, three-stage filtration system uses a combination of carbon filtration, ion exchange, and sub-micron filtration. Your tap water is forced under pressure over filtration material covering more than two million square feet of surface area. So it reduces over three times more contaminants than leading pitcher filter brands. Your water becomes contaminated from a variety of sources throughout the process of collection, treatment and delivery. From groundwater contamination at the source to chemical contamination at the treatment facility to rust and lead contamination as the treated water travels through pipes to your home, the water you drink and bathe in can contain dangerous levels of harmful contamination. This continuing level of contamination makes filtering your water a critical component of maintaining your health. With the AQ-4601 water filter, Aquasana Claryum™ filtration technology stands between you and the harmful contamination present in your water supply. NSF-certified Aquasana Claryum™ filtration features three-stage technology to reduce pollutants and maintain healthy minerals to balance pH and ensure fresh, spring water flavor. 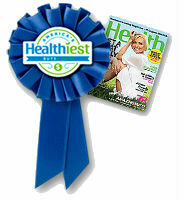 Aquasana Drinking Water Filter voted "America's Healthiest Water Filter" by Health Magazine! Additional Replacement filters are available to buy separately (AQ-4035). As standard the unit comes with one set of AQ 4035 filters. 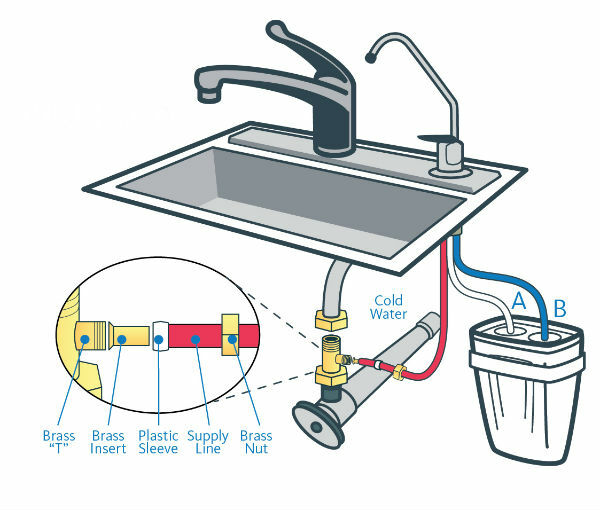 Do I have to pay for a plumber to install the system? — Our under counter drinking water filter systems are very easy to install, and it only takes a 30 minutes to do; no plumber is necessary. What is the size of the brass T-fitting for under counter and premium under counter unit? — The most common size is 15mm which originally comes with the system purchase. In rare cases some customers may need an 18mm T-fitting which we can provide free of charge. How often do I have to replace the cartridges and how much do they cost? — We recommend replacing the cartridges after six months or 500 gallons/2,300 litres, whichever comes first. Is this purified water? — No, and actually, purified water is not as healthy as filtered water. Purified water undergoes reverse osmosis or distillation, which strip everything out of your water - not only the contaminants, but also the healthy, natural minerals. Our system uses selective filtration designed to reduce contaminants from the water and leave in the natural healthy minerals like calcium, potassium, and magnesium. What does TDS stand for, and what is TDS? — Total Dissolved Solids: dissolved minerals and metals. TDS meters tell you the concentration of dissolved minerals and metals in your water, but are not an accurate measurement for contamination. Aquasana products remove harmful TDS, like dissolved lead and iron, but since our selective filtration leaves in calcium, magnesium and potassium, and minerals are dissolved solids, there will still be a measurable amount of TDS in our filtered water. What is BPA? And why are people concerned about it? — BPA stands for Bisphenol-A, a contaminant found in most plastics. BPA can adversely affect your health if consumed at high levels. Aquasana drinking systems do not contain BPA, and our filtration process reduces existing BPA. Does having hard water mean it is contaminated? — Hard water is more of a nuisance than a health risk, and is not necessarily contaminated. Most water sources in the UK and Europe are considered hard. Hard water is generally safe to drink, after it has been properly treated. What is soft water, and is it safe to drink? — Having soft water just means you have a lower concentration of dissolved minerals in the water (primarily calcium and magnesium). Soft water does not mean clean water. Your water can be soft and still contain contaminants. What is selective filtration, and how do Aquasana systems filter drinking water? — Selective filtration is the process of sub-micron filtration, micron filtration, adsorption and ion exchange, all of which selectively reduces chemicals, heavy particulates and most dangerous heavy metals from the water while maintaining healthy minerals like calcium, magnesium and potassium. What is the difference between the under counter and the premium under counter systems? — Just the faucet. The premium under counter faucet has a choice of finishes and a turn valve. 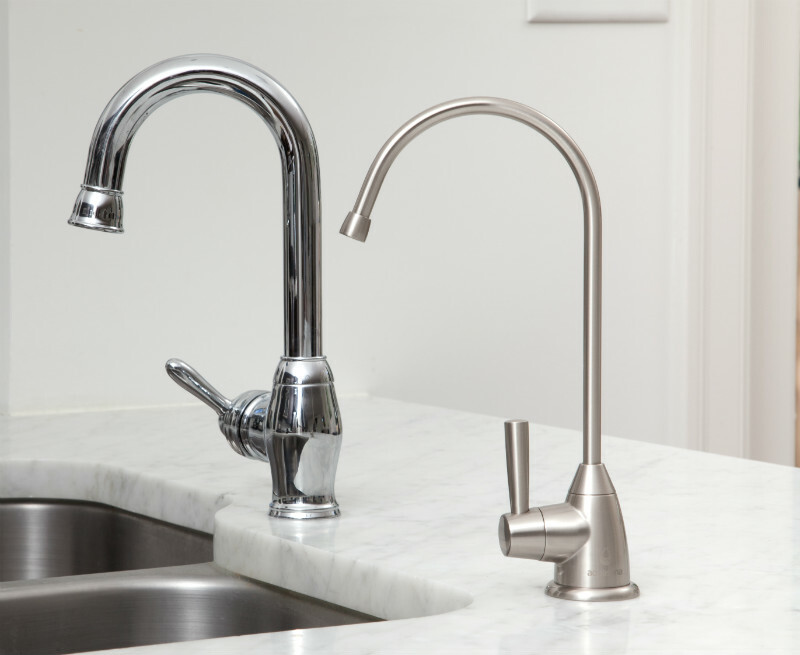 The basic under counter faucet only comes in a chrome finish and has a paddle valve. This is an excellent water filter. When I first started using it I couldn't believe how much difference there was to ordinary tap water. It took a couple of days to get used to because of the completely different taste, but now I wouldn't be without it. I wish everyone used one, as I only enjoy a cup of tea in my own home now.